April Lucky Number Contest Winners! The Lucky Number games have been drawn. You can view the winners (if any) below. If no winners were found for a jackpot, the jackpot will roll over to next week. Welcome to Goatling Spotlight! A mini event where we get to show off your favorite Goatlings! Each week a new Goatling will be featured in the News and the owner will receive a shiny Spotlight Trophy to display on their pets page or in their collection. This week is all about buttercup! Bio: buttercup is a girl with big dreams. 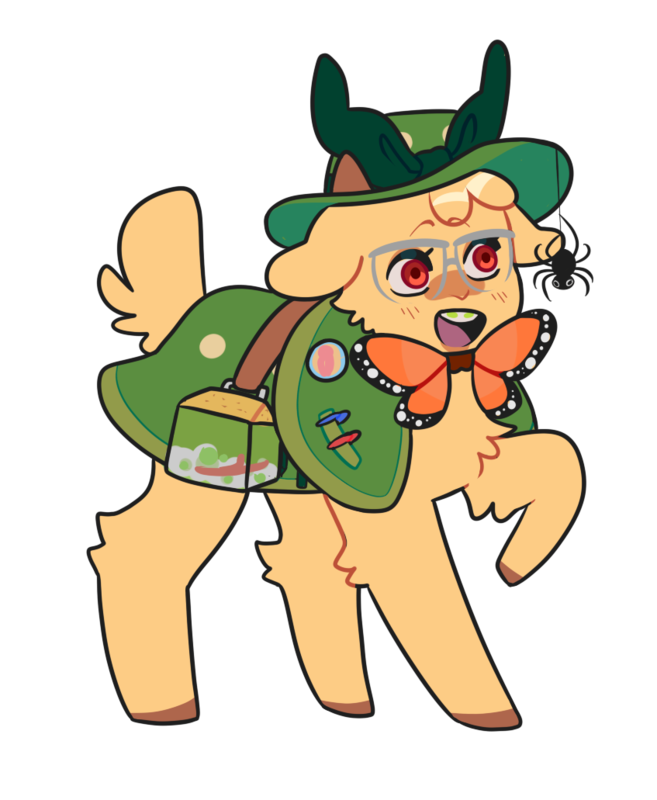 she dreams of being an entomologist, hopefully working in a grand botanical garden overflowing with plant and insect life. with a love for bugs and a knack for illustration, she spends her days drawing her favourite insects or even just ones she encounters on her frequent explorations. she has a special love in her heart for beetles and grubs. she has a pet rhino beetle, ollie. CLICK HERE for more details, past spotlights, and to enter your Goatlings! Saturday Night Bidding Wars has begun! 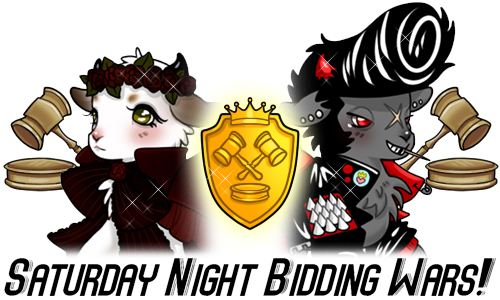 These Auctions will be held a once a week and feature exclusive items that are only available on auction night! The auctions start on Saturday and go on for 24 hours. Tiangou Stamp, Fire Rooster Stamp, Thoth Stamp, Masked Rival Stamp, Ethos Stamp, Luck Dragon Stamp, Queen Snake Stamp, and Apostrophe Stamp. - Members may bid on multiple items and as many times as they like. - Members may win multiple times in a row. - Members may also snipe bids (bid as the auction is about to end). - Members may do whatever they want with the items after they have won them. Such as sell, give away, hoard, or even pawn. - Auctioned items will not retire. - We understand that auctions may become intense, but please do not be frustrated or discouraged. There's always next week! - Members who pester or disrespect others who have placed bids and/or won an auction will be permanently silenced. This IS a friendly bidding war so stay tough, calm, and have fun! It appears that with all the love and attention the strange sprouts are getting they are growing even more! Could this be a new type of Goatling? We will have to wait and see! Keep taking care of these little sprouts and we will see what happens! Visit the Misty Meadows 4 Explore Area to find a rare and unusual Goatling. Challenge them for a battle and take any beans you may come across to Zurora's Craft Shop. The mysterious beans can be crafted to make a Bean Sprout. Click here to view the craft recipe. The sprout doesn't seem to be edible, however when placed close to another Goatling their appearance seems to change in a very strange way! Warning from Zurora: The sprout growth seems unpredictable! There's no telling if these will spread, or what the permanent result will be if used. To be safe, do not use on a Goatling that has an Appearance you want to keep! This event will end at the end of the month! HA Buddy Hair Salon update! The HA Buddy Hair Salon has been updated with new fluffy springtime styles; Hopeless Hairs and Tails! These are original member designs by @kato so make sure to send a little extra love today! The Raffle has been drawn. Congratulations to Katsutos who has won 496000 Sugar Stars!!! Design-A-Goatling Event - WINNERS for Decades of Fashion - Ancient! The votes are in for the most popular Decades of Fashion Goatling! Thank you all for entering so many amazing designs and voting for your favorites! Congratulations everyone! Ladybug's Caveling design is now permanently available in the Appearance Doll Shop! All design participants will receive "Caveling Top" for their HA Buddy! This item is now permanently stocked at HA Buddy Boutique. Prizes have been distributed! Thank you all for participating! alienbirb won the Lucky Numbers game (4) with numbers 7, 9, 1 and 7! They won 139300 SS! Welcome to Goatling Spotlight! A mini event where we get to show off your favorite Goatlings! Each week a new Goatling will be featured in the News and the owner will receive a shiny Spotlight Trophy to display on their pets page or in their collection. This week is all about goldieIocks! Bio: Goldielocks is soft, tender and has a lot of love to give! In her spare time she's knitting sweaters or other warm and fuzzy things for the village. 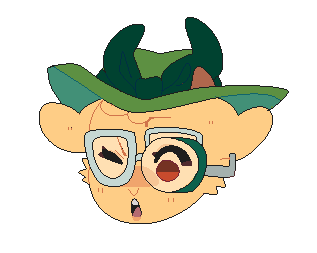 With a family owned farm, she loves to grow carrots and tend to the sweet strawberries to give to the loving locals, all of whom she has deep respect for! She cares for those around her and is almost the embodiment of the phrase "treat people as how you wish to be treated" as she's always got her head up, doing whatever she can to make life easier for everyone!